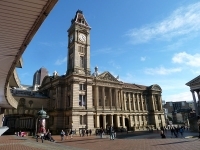 Idiosyncratic in its language and Kashmiri cuisine, Birmingham offers something new to travellers in England. From pubs and canals to shopping and curry, the Brummies impart an impressive spread. A student town atmosphere coupled with big city features and sightseeing attractions ensures a holiday in Birmingham makes for a rewarding UK travel experience. A rich bounty of cuisine and culture make up the world-renowned Balti Triangle, and the curvaceous Selfridges store with its mottled futuristic 'skin' is not to be missed at the Bull Ring centre, a commercial hub that has been in use since the Middle Ages. For a breath of fresh air, head to one of Birmingham's five Green Flag-status parks, and enjoy the shade of the city's dense oak tree cover. A host of excellent art galleries and museums promise to entertain culture vultures: the RAF Museum is interesting for history fans; the small but fascinating Museum of the Jewellery Quarter showcases a different side of the city; and the Birmingham Museum and Art Gallery boasts one of the best Pre-Raphaelite collections in the world. 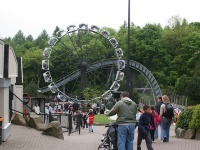 For those travelling to Birmingham with kids, the Cadbury's factory will delight children and cocoa lovers alike, and the Drayton Manor Theme Park will be fun for the whole family.